What is VPN? How to use VPN? VPN is the software (in computer) or app (in smart phones) on one side that removes our original IP address and there is a second IP address appearing to the front, which has been given to us by our VPN provider. There are two types of VPN free and paid For Free VPN, you do not have to pay anything but there are fewer features available like advertises in free vpn or some VPN providers give low bandwidth. If your work is important or confidential, then you should use paid VPN so you do not want to get a free VPN. Yes, you have to pay a little bit but it is very safe, there is no advertisement show and you get unlimited bandwidth too . 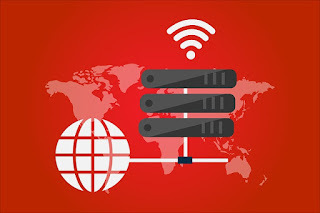 VPN is a virtual-private network that creates a point-to-point connection between the client and server or creates a virtual tunnel called U and hides our IP address. In which no one can steal our data and no one can trace us due to IP address hide hone. How to use VPN in Computer? To use Betternet, you will have to download it from its website betternet.co How to use VPN in Computer? We will talk about Turbo VPN because only a few clicks have been installed and used it. To use Turbo VPN, first you have to download it from the play store, you can search it in the play store or click on the link below. After installing, you will have it open, after that you will see a button in front which will be called 'tap to connect' and you have click on it and shortly after that your VPN will be started. .